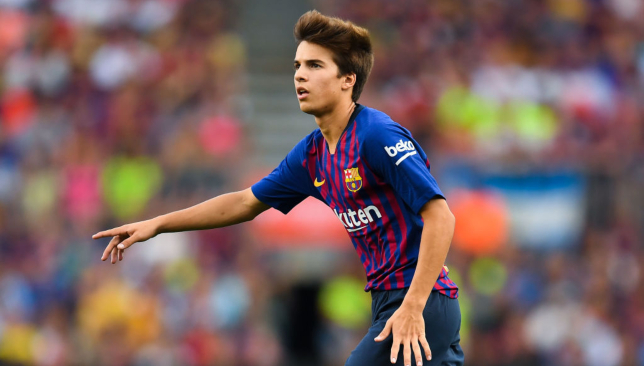 Barcelona youngster Riqui Puig wants to continue growing at Barcelona and stay at the club for a long time. The 19-year-old started in his team’s 0-0 draw against Huesca on Saturday and put in a promising performance. Puig was happy with the opportunity and is hopeful of many more chances to come in the future. “I only want to stay here,” he said after the game, according to Marca. “It’s my team, it’s my parents’ team and I’ve been here since I was a child. If it’s up to me, I’ll stay. He has featured for Barca in the Copa del Rey regularly, but the midfielder was particularly delighted when he had a chance to represent the club in a La Liga fixture. “La Liga Santander is much more special than the Copa del Rey,” he admitted. 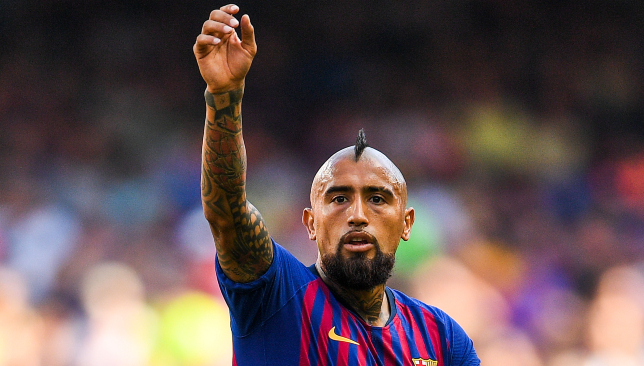 Barcelona midfielder Arturo Vidal admitted that their Champions League quarter-final fixture against Manchester United on Tuesday is priority, as the Catalan giants settled for a goal-less draw against bottom placed Huesca. The Chilean lauded the efforts of Barcelona’s youngsters after Ernesto Valverde fielded their youngest starting line-up of the season. Vidal accepted the draw to be a fair result and was satisfied about the fact that they avoided defeat. “It was a different Barcelona, the younger ones played today and they did quite well, it was very difficult, it was an intense match and I think the draw is fair,” Vidal said, according to beIN Sports. “We had never played these three midfielders, everything was different and the ball did not run much, the field was dry, but the important thing is that we didn’t lose. “All of us who are here and those who did not come are thinking about Tuesday’s game, we want the League and it is close but the Champions is a dream. Barcelona coach Ernesto Valverde defended making sweeping changes after the La Liga leaders were held to a goalless draw at bottom club Huesca. Lionel Messi was one of several star names missing from the trip to the Estadio El Alcoraz. The Argentina playmaker had been given the all-clear after scans following a collision with Manchester United’s Chris Smalling during the Champions League match at Old Trafford on Wednesday. 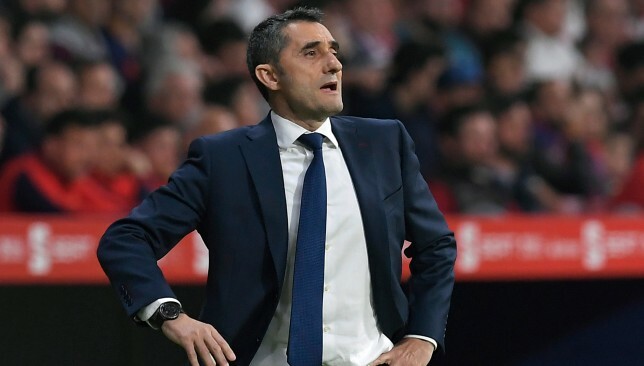 However, with the quarter-final second leg against United to come this week and his side in control at the top of the table, Valverde felt it was the right opportunity to freshen up the side. With suspended duo Gerard Pique and Luis Suarez also not available, defender Jean-Clair Todibo and 20-year-old Senegal international Moussa Wague were handed first-team debuts. Midfielder Riqui Puig and Jeison Murillo also came in for starts. 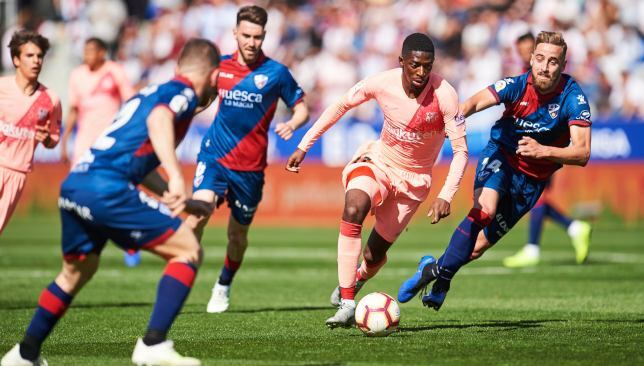 Barca had chances to break the deadlock, the best of which fell to Ousmane Dembele during the first half, while Malcom later saw his shot come back off a post. Huesca, beaten 8-2 when the teams met at the Camp Nou earlier in the season, battled bravely on to frustrate the leaders, who have now drawn two of their past three La Liga games. “There were many changes and many debuts. We’re happy in this sense,” Valverde said at a press conference. “We could’ve tried something more in attack, but we’re happy in general. “I watched a very even game,” the Barcelona coach added at a press conference reported in the Spanish media. “We knew we could not play Barca face to face. You had to make a long game, master the phases of the game and have options at the end,” Francisco said afterwards on the club website. “The plan has not come out, but we have reached the 80th minute alive. “We will prepare another final as if it were the last one,” he said.